Having competed in the Dance Sport B.C. 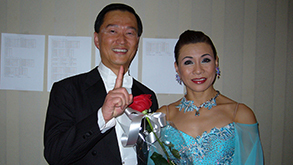 amateur levels from beginner level to Championship level in the past 16 years, Leona, my partner and I have won many championship level competitions in B.C., Canada, and in the United States. 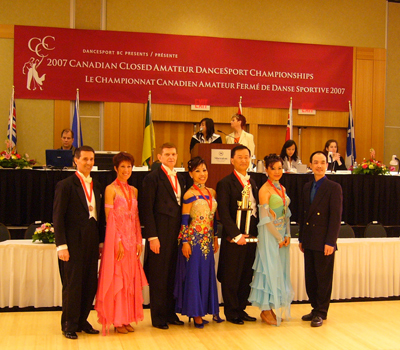 We won the privilege to represent Canada at the 2008 Canadian Closed Championship in Halifax to compete in the World Senior's Championship competition in Liege, Belgium. 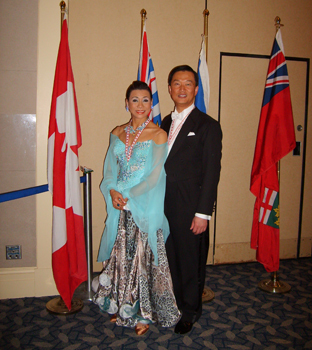 Some of our other top accomplishments were placing 1st in the US Masters Championships at the prestigious Embassy Ball - Open to the World Championship in California & 1st place in the Canadian Open Seniors Championships in Toronto (Senior's category begins at age 35 and over). 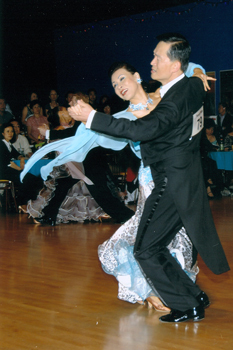 In 2008 we began studies to become professional ballroom dance instructors, we teach the international style of ballroom dancing from beginner's level and up, our group classes are taught in Abbotsford, we also teach at the Crystal Ballroom in Richmond.